To book an appointment call us on 9404 1199 or book online. 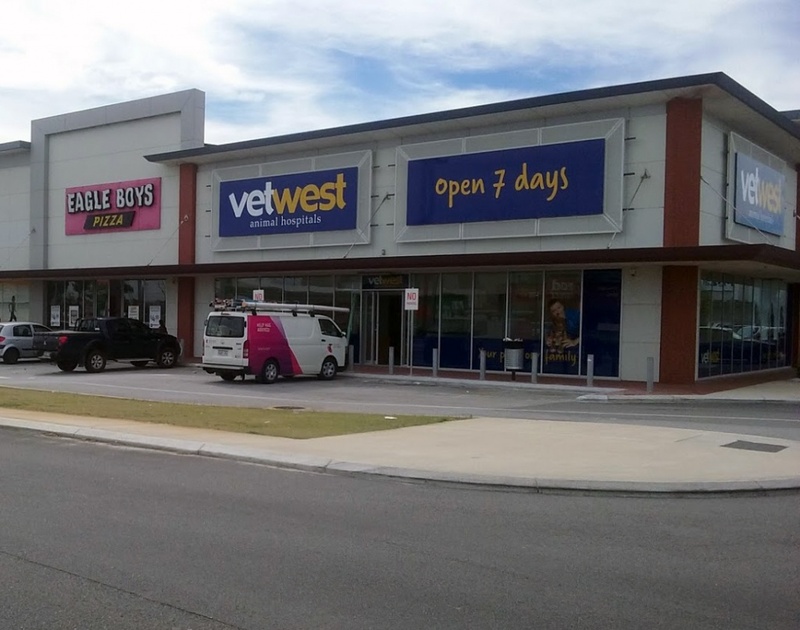 LOOKING FOR JANDAKOT VET HOSPITAL? Vetwest Cockburn is located at Unit 1, 816 Beeliar Drive in Success 6164. We are part of the Cockburn Gateways Shopping Centre area, on the driveway towards the main entrance of the shopping complex. Look for our big blue sign right next to Eagle Boys Pizza and across from McDonalds, there is also a Pet Barn in our complex. There is liberal parking right in front of our veterinary hospital, making a trip to our vet hospital with an unwell or injured pet much easier. We welcome all pets in our clinic – if you aren’t sure if you can bring your loved furry, scaled or feathered friend - just call us! We are open until 7pm from Monday to Friday, perfect for appointments after business hours. We are also open from 9am until 5pm on Saturdays and Sundays, giving you more opportunity to schedule in an appointment time that works for you. Our veterinary hospital has cutting edge capabilities, ensuring that we have the best facilities and pet accommodation in the area. Our team warmly treats your pets like family and we are confident we are able to exceed all expectations for high class animal care and treatment. We offer a wide range of services for your furry, feathered or scaled loved one and the highest standard of care available. Vetwest Cockburn offers the popular Total Wellness Plan, where you can save on quality care for your pet all year round and never have to worry about a vaccination or prevention treatment again. We also offer our much loved free nail clipping and nurse advice service. Just call us up to make an appointment and bring your dog or cat in for to have their nails clipped in a stress-free environment. If you have a new puppy or kitten in your family, our nurses will also chat with you in an appointment and give you free advice on how to look after your new addition. Our qualified veterinarians keep up to date with the latest information so your pet gets the best treatment and we run frequent competency training for our entire team to ensure a continual high level of knowledge and skills to better service your pet’s needs. Our vet nurses are not only highly qualified but extremely warm and friendly so you know your pet is in the most kind and caring of hands. Our team is passionate, highly skilled and completely invested in providing the highest standard of service to our family of clients and pets and most importantly - we love what we do! Be sure to call Vetwest Cockburn today to schedule your next appointment – we look forward to meeting you and your pet!